A cool transport for your everyday essentials! 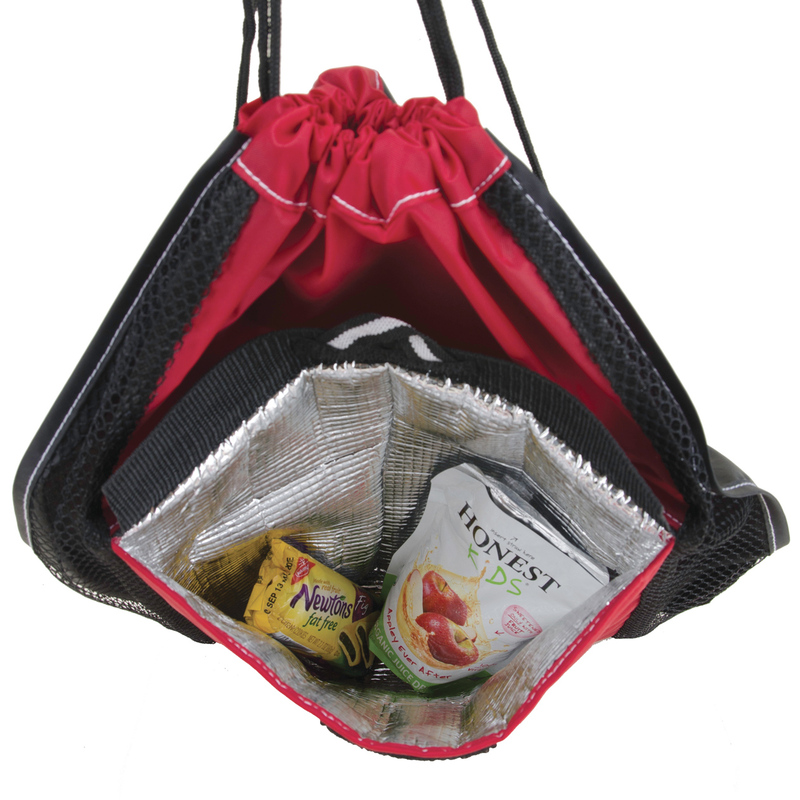 Easily holds lots of gear with the added benefit of a functional thermal lined cold storage pocket on the front. 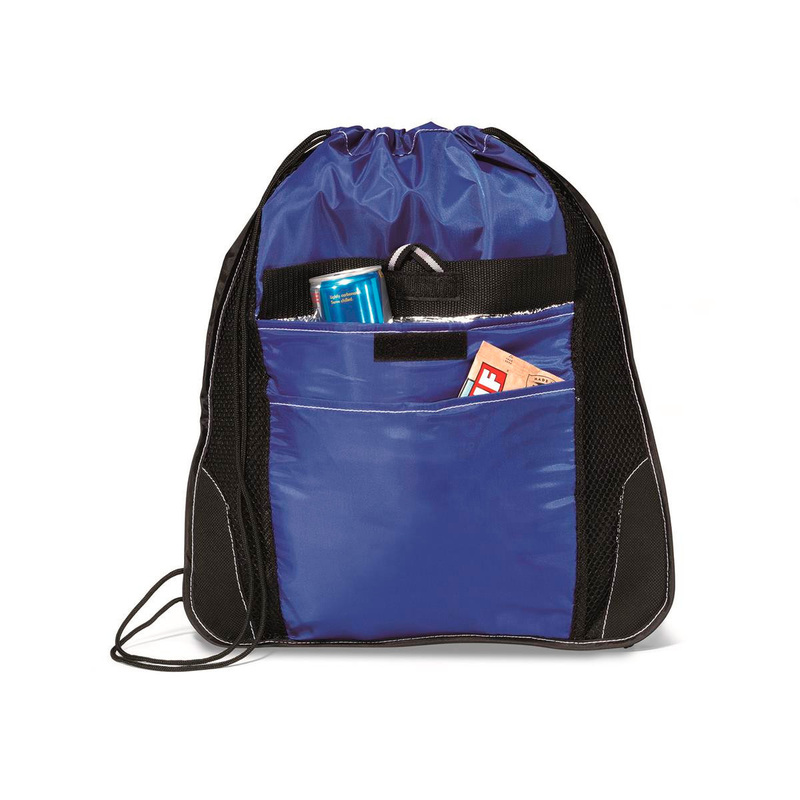 This backsack will make easy access for your essentials while on the go. It has 1.5 litres of carrying capacity and it is manufactured from 210D polyester fabric with 80gsm non-woven panels. 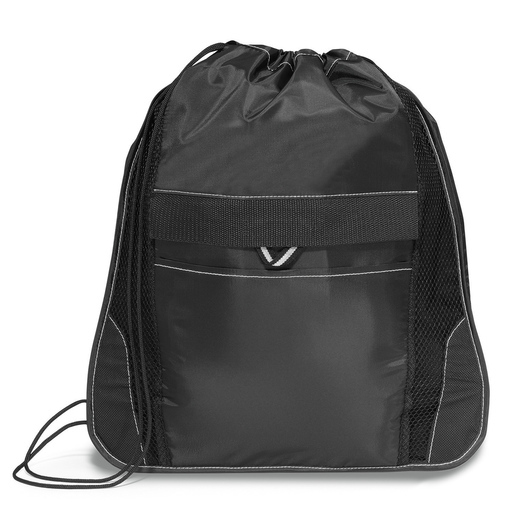 It features a front insulated thermal lined pocket with Velcro closure for cold storage, cinch closure to easy-access storage compartment, front pocket with Velcro closure, PVC and Phthalate free, and cinch design allows for carrying on one shoulder or as a backpack. 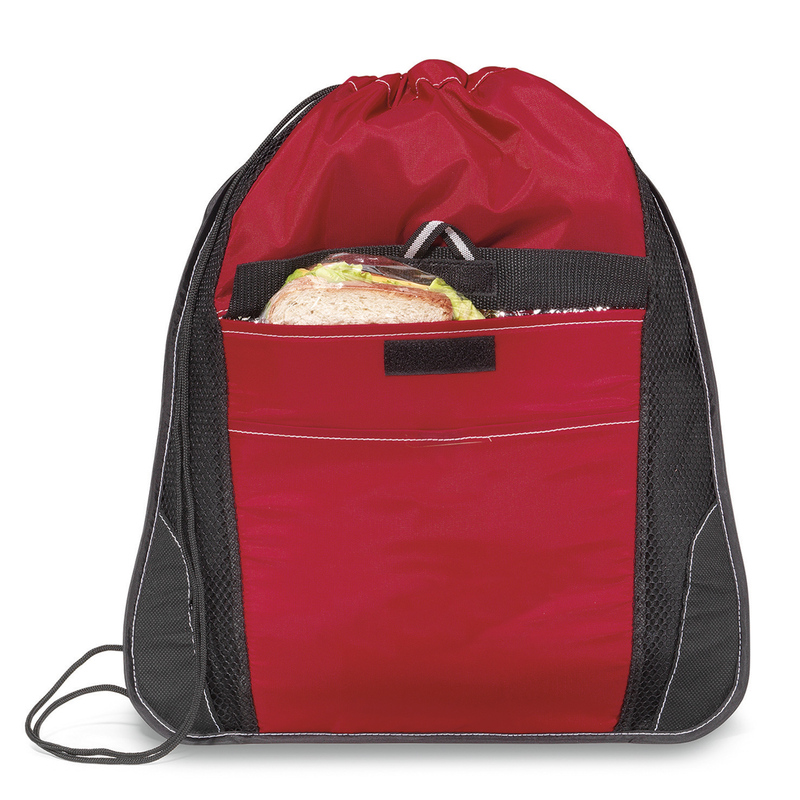 This bag is ideal for hikers, gym rats, students, commuters and adventurers.